I have updated the photo gallery in 2016 with some play pictures of mother and daughter. Click HERE if you want to see the playdate pictures. 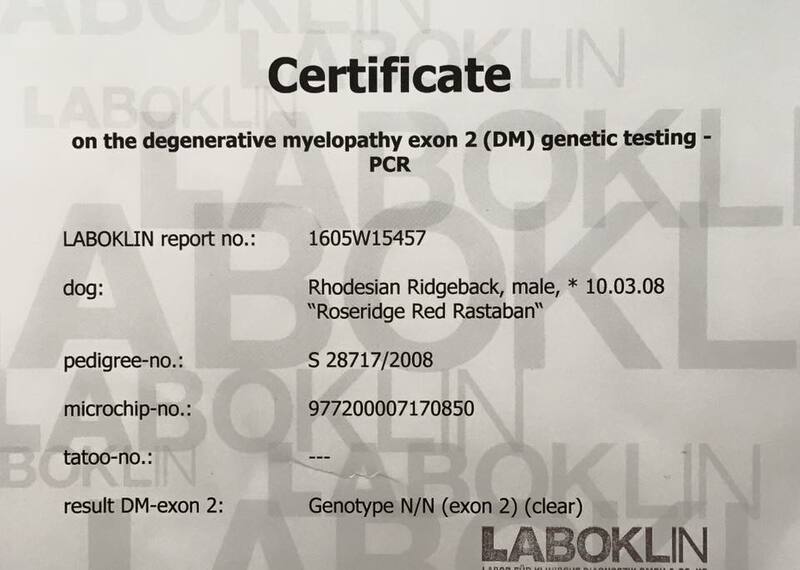 Daddy to our E-litter, Multichampion Roseridge Red Rastaban "Wilson"
Tested for DM (DegenerativeMyelopathy) Wilson's DM results came back a couple of weeks ago! N/N Clear! The neurological disease known as Degenerative Myelopathy originally appeared in German shepherds. Commonly called DM, this degenerative spinal cord disorder has been found in several other breeds, including the Rhodesian Ridgeback. 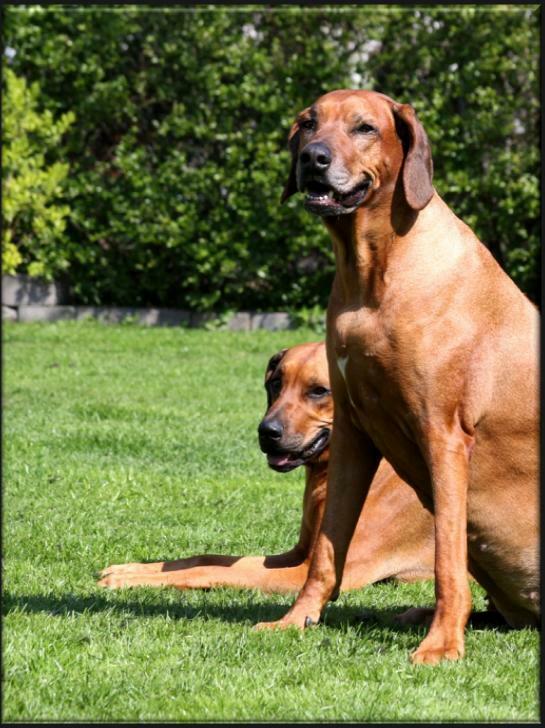 Because genetic testing is now available, diligent breeders can help remove DM from the Rhodesian Ridgeback gene pool.